Comedy Actor, Improvisor and Stand-Up. Charming, captivating, confident, intelligent, real, honest with energy and enthusiasm. Born in Birmingham but now lives in London. His accent isn't very strong West Midlands. Hypothetical (TV, 2019) Himself. Dave. The Comedy Bus (TV, 2019) Himself. Comedy Central. Darren Harriott: Visceral (Stage, 2018) Pleasance Theatre. 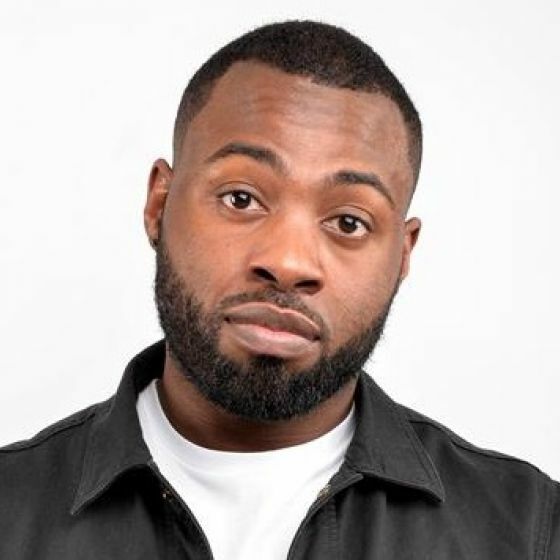 Darren Harriott: Defiant (Stage, 2018) Soho Theatre. New Order: Melbourne International Comedy Festival (Stage, 2018) Comedian. Celebrity Lip Service (Radio, 2018) Presenter - Pilot. Fresh From The Fringe (Radio, 2018) Host/Comedian. BBC Studios. Fighting Talk (Radio, 2018) Himself. Flunked (TV Pilot, 2018) Josh - Pilot. Don't Hate The Playaz (TV, 2018) Regular Panellist. Comedy Central At The Comedy Store (TV, 2018) Comedian. Mock the Week (Theatre, 2018) Panelist. Comedy Roast (TV, 2018) Comedian. Comedy Central. Life Lessons (TV, 2018) Presenter. University Challenge Comic Relief (TV, 2018) Himself. BBC2. Apprentice You're Fired (TV, 2018) Himself. BBC. Manwatching (Theatre, 2017) Performer. Royal Court Theatre. Fresh From The Fringe (Radio, 2017) Comedian. BBC Radio 4. The Now Show (Radio, 2017) Comedian. BBC. 4 Extra Stands Up (Radio, 2017) Comedian. BBC Radio 4 Extra. Star Attraction (TV, 2017) Presenter - Pilot. Achievement Unlocked (TV, 2017) Presenter. Comedy Central. Live at The Apollo (TV, 2017) Himself. BBC2. Russell Howard's Stand-Up Central (TV, 2016 & 2017) Himself. Pleasance Reserve (Stage, 2016) Comedian. Pleasance Theatre.